user warning: UPDATE command denied to user 'icde2011_wp'@'server2.l3s.uni-hannover.de' for table 'dp_cache_filter' query: UPDATE dp_cache_filter SET data = '<p><strong><a name=\"panel1\"></a>Panel 1</strong></p>\n<p>	April 13, Wednesday:&nbsp; 17:00 &ndash; 18:30</p>\n<p>	Location: Niedersachsen Halle B</p>\n<p>	<strong>Distributed Data Management in 2020?</strong></p>\n<p>	Moderators: M. Tamer &Ouml;zsu (Univ. Waterloo, Canada), Patrick Valduriez (INRIA, France)</p>\n<p>	Panelists: Serge Abiteboul (INRIA, France), Bettina Kemme (McGilll Univ., Canada), Ricardo Jim&eacute;nez-P&eacute;ris (Univ. of Madrid, Spain), Beng Chin Ooi (National Univ. of Singapore)</p>\n<p>	&nbsp;</p>\n<p>	It has been almost twenty years since the first edition of &ldquo;Principles of Distributed Database Systems&rdquo; appeared, and ten years since the second edition.&nbsp; As we wrote the third edition, we incorporated technologies that were developed in late 1990&rsquo;s and in 2000&rsquo;s &ndash; peer-to-peer (P2P) systems, data integration, database clusters, web and XML data management (including search engines), stream data management, and cloud data management. It is apparent to us that the last ten years have seen an accelerated investigation and development of distributed data management technologies spurred by advent of high-speed networks, fast commodity hardware, very heavy parallelization of hardware, and, of course, the increasing pervasiveness of the Internet and the web. Now, the question is what is likely to happen in the next decade; or to put it differently, if there were to be a fourth edition of our book in 2020, what would it be? what would be new? This is the motivation for this panel. The key questions the panel will discuss are: what are the fundamental principles behind the emerging solutions? Is there any generic architectural model to explain those principles? 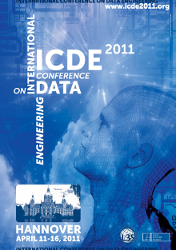 Do we need new foundations to look at data distribution?</p>\n<p>	&nbsp;</p>\n<p>	<strong><a name=\"panel2\"></a>Panel 2</strong></p>\n<p>	April 14, 2011, Thursday:&nbsp; 16:30 &ndash; 18:00</p>\n<p>	Location: Niedersachsen Halle B</p>\n<p>	<strong>Robust Query Processing</strong></p>\n<p>	Moderator: G&ouml;tz Gr&auml;fe (Hewlett-Packard Laboratories, USA)</p>\n<p>	&nbsp;</p>\n<p>	In the context of data management, robustness is usually associated with resilience against failure, recovery, redundancy, disaster preparedness, etc. Robust query processing, on the other hand, is about robustness of performance and of scalability. It is more than progress reporting or predictability. A system that fails predictably or obviously performs poorly may be better than an unpredictable one, but it is not robust.</p>\n<p>	The panel will report on the prior seminar on robust query processing, present and solicit opinions about robust query processing and about a future seminar on the topic. The discussion will offer a definition of robustness, clarify multiple approaches to measuring robustness in database query processing, and illustrate multiple system layers that should aid query processing robustness.</p>\n', created = 1433151997, expire = 1433238397, headers = '', serialized = 0 WHERE cid = '1:5afcfc8375b9ff3bf63fb152698094e0' in /var/www/other/ICDE2011/includes/cache.inc on line 109. It has been almost twenty years since the first edition of “Principles of Distributed Database Systems” appeared, and ten years since the second edition. As we wrote the third edition, we incorporated technologies that were developed in late 1990’s and in 2000’s – peer-to-peer (P2P) systems, data integration, database clusters, web and XML data management (including search engines), stream data management, and cloud data management. It is apparent to us that the last ten years have seen an accelerated investigation and development of distributed data management technologies spurred by advent of high-speed networks, fast commodity hardware, very heavy parallelization of hardware, and, of course, the increasing pervasiveness of the Internet and the web. Now, the question is what is likely to happen in the next decade; or to put it differently, if there were to be a fourth edition of our book in 2020, what would it be? what would be new? This is the motivation for this panel. The key questions the panel will discuss are: what are the fundamental principles behind the emerging solutions? Is there any generic architectural model to explain those principles? Do we need new foundations to look at data distribution? In the context of data management, robustness is usually associated with resilience against failure, recovery, redundancy, disaster preparedness, etc. Robust query processing, on the other hand, is about robustness of performance and of scalability. It is more than progress reporting or predictability. A system that fails predictably or obviously performs poorly may be better than an unpredictable one, but it is not robust. The panel will report on the prior seminar on robust query processing, present and solicit opinions about robust query processing and about a future seminar on the topic. The discussion will offer a definition of robustness, clarify multiple approaches to measuring robustness in database query processing, and illustrate multiple system layers that should aid query processing robustness.